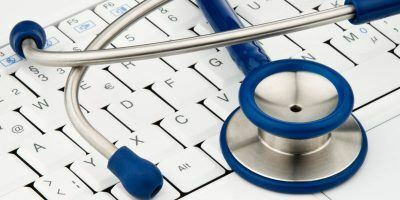 Gnome and KDE may be the preferred desktop environment for most Linux users, but for those who prefer something that is not resource intensive, XFCE is a great alternative. 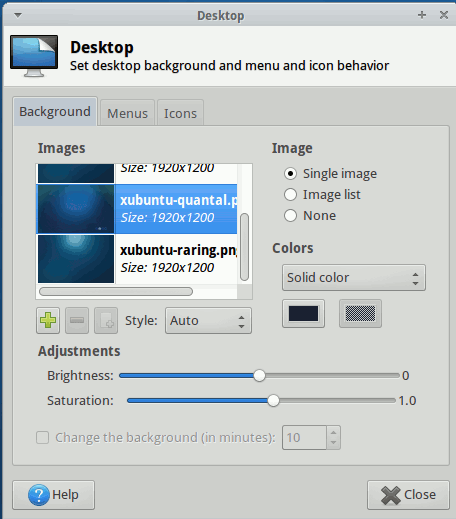 XFCE is lightweight, fully customizable and is almost like the good old Gnome 2.x that everyone misses. 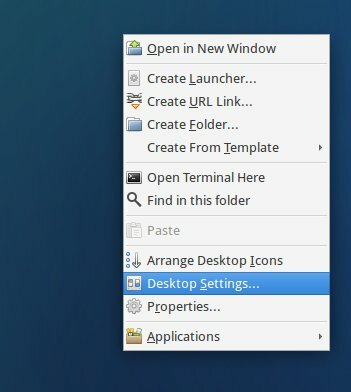 If you are planning to switch to XFCE, this tutorial will show you how to customize the XFCE desktop. 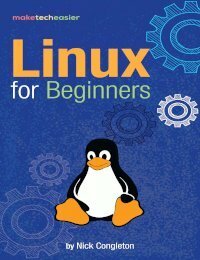 Note: We will be using Xubuntu for this tutorial. XFCE is very similar to Gnome 2.x. It comes with panels where you can customize and place your applications/applets on it. 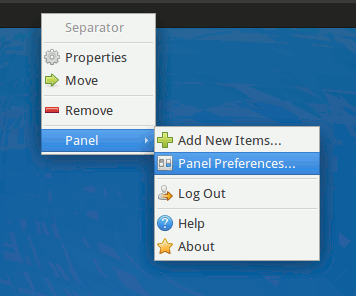 To customize the panel(s), you just have to right click on the panel and select “Panel -> Panel Preferences”. At the top dropdown bar, you can switch between the various panels. 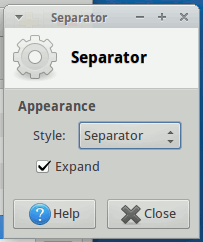 In Xubuntu, Panel 0 refers to the top panel while Panel 1 refers to the bottom panel (the one that look like a dock). To add a new panel, simply click the “+” button beside the dropdown bar. You should immediately see a new panel appear in the desktop. The same step apply for removing a panel, except that you will be clicking the “-” button instead of the “+”. There are three main sections in the Panel Preferences: Display, Appearance and Items. 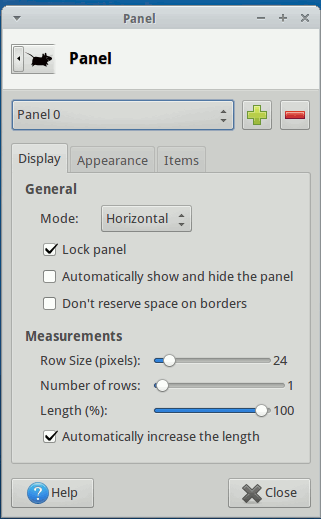 At the Display tab, you can change the mode of the panel (whether it is horizontal, vertical or deskbar) and decide whether it should be locked or not. Locked panel is fixed in position and can’t be moved. You can also set it to automatically hide when it is not active. 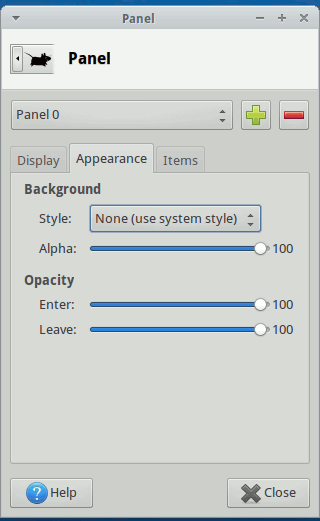 The Appearance tab is where you set the style of the panel. The default option is using the System Theme, but you can change it to use a solid color or a background image. You can also change the transparency of the panel. 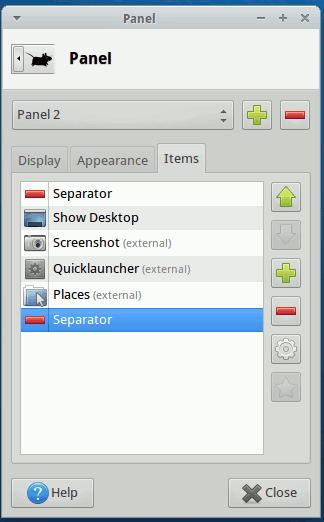 The Items tab is where you add application launchers and applets to the panel. Simply click the “+” button to add new application, the “-” button to remove existing launcher and the Up/Down arrow button to arrange the items. 1. Add a new panel and move it to the bottom of the screen. 2. 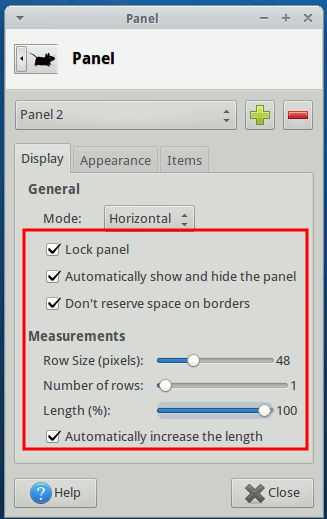 Check the three boxes: “Lock panel”, “Automatically show and hide the panel” and “Don’t reserve space on borders”. Under the Measurement section, drag the Length (%) slider to 100%. 3. Go to the Appearance tab. 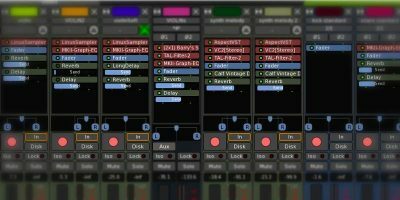 drag the “Alpha” slider to 15 (or lower value). 4. Next, go to the Items tab. Add all your favorite applications/launchers to the panel. You will notice that all the items are aligned to the left. To make them align to the center, simply add two “separator” and make them the first and last item in the list. Next, move your cursor to the first item of the panel (where the separator is located), right click on it and select “Properties”. Check the box “Expand”. Repeat the same step for the last separator. Your items will now magically aligned to the center. 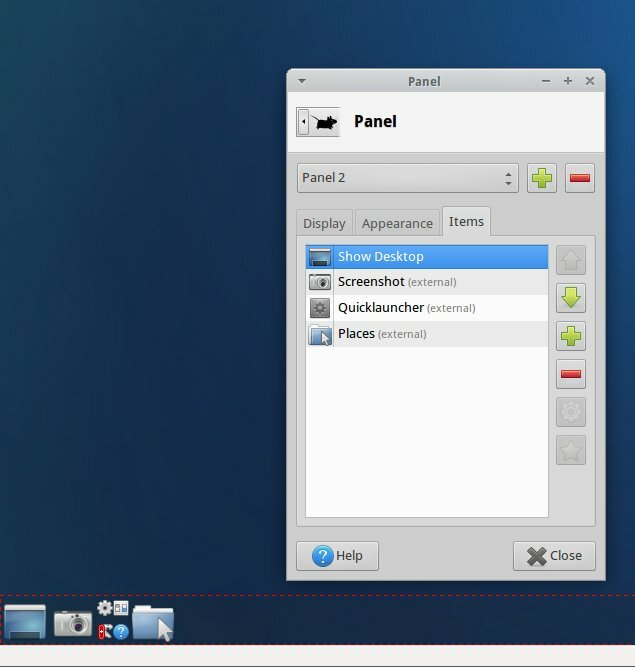 To customize the desktop, all you have to do is to right click anywhere on the desktop and select “Desktop Settings”. 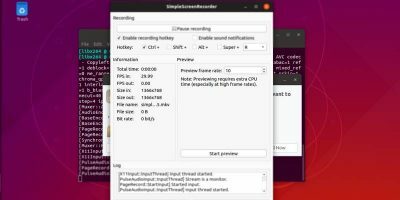 From here, you can change the wallpaper, icon size and whether the default icons (Home, Filesystem, Trash, Mounted Filesystem) should show up in the Desktop. 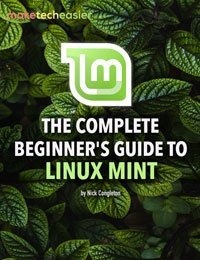 If you don’t like the theme that come with the distro, you can give it an overhaul and change to your favorite theme. 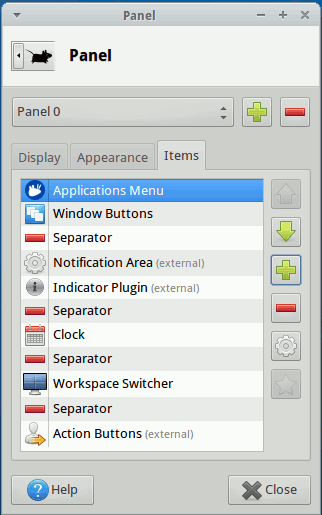 There are 5 themes that you can change in XFCE: GTK+ interfaces, window decorations, cursor, icons and wallpaper. Changing wallpaper is very straightforward, so we will not be covering it in this part. 1. 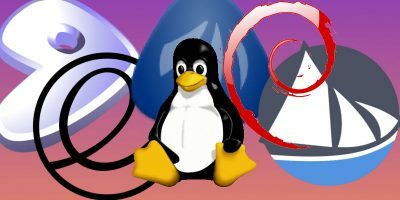 You can head over to http://xfce-look.org to download your favorite system theme. 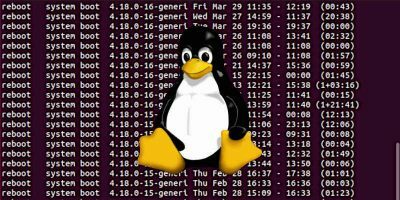 Extract the tar file and place it in the “.themes” folder (create it if it doesn’t exist. Don’t forget the “.” (dot) in front of the name) in your Home directory. 2. 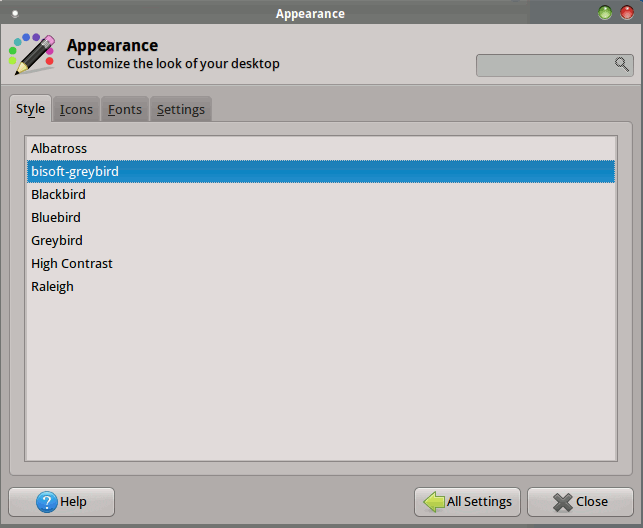 To change GTK+ interfaces, go to the Settings Manager and select “Appearance”. Under the “Style” tab, select your favorite theme. 3. To change cursor and icons theme, you have to place the theme files in the “.icons” folder under the Home directory. You can then select the new icon theme under “Appearance -> Icons” tab. The mouse cursor can be changed in the “Mouse and Touchpad” settings. 4. 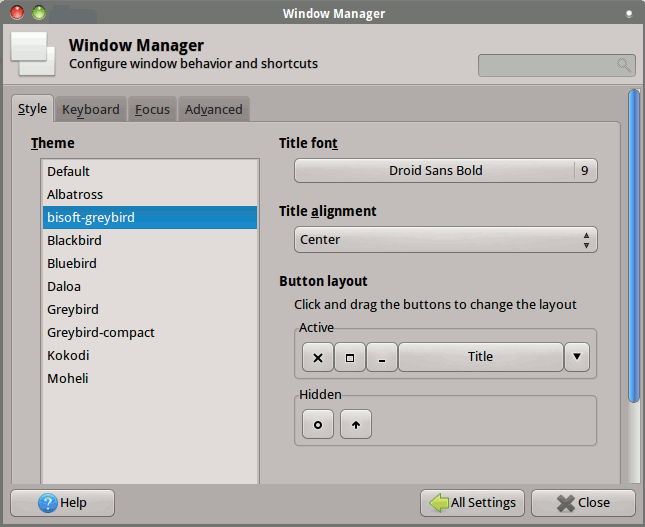 Lastly, the window manager theme can be changed in the Window Manager settings. 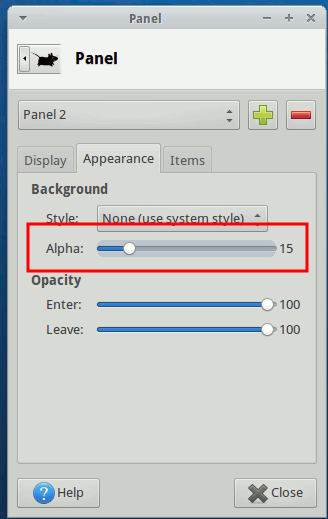 If you are used to the window control button on the left rather than on the right side, you can change the position in the Window Manager settings page. 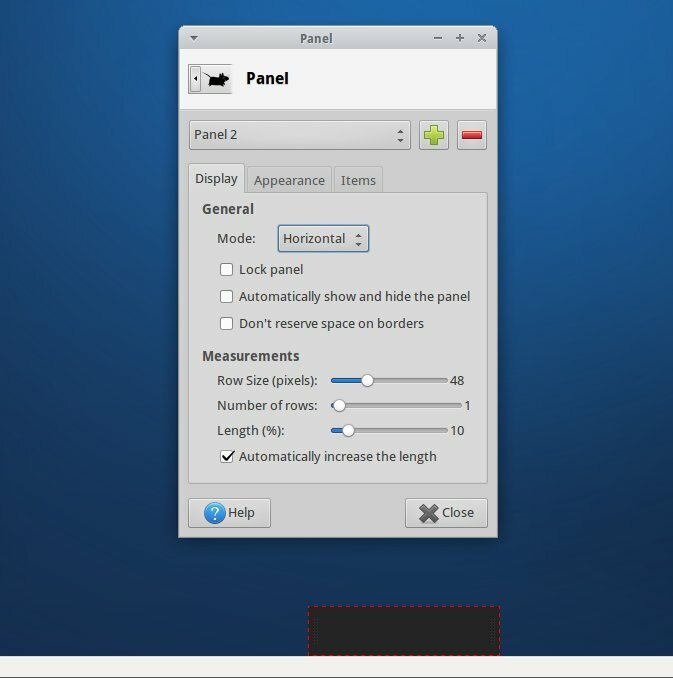 Simply drag the window control button to the position you prefer. XFCE is a great desktop manager. 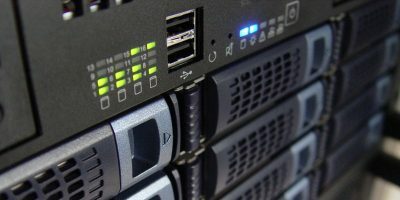 Not only it is lightweight enough to run on any computer, it is fully customizable and you can easily configure its look and feel to your liking. 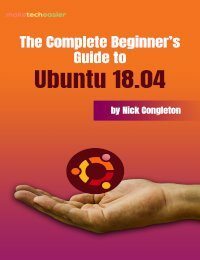 For those who like Ubuntu, but hated the Unity desktop, you might want to switch to Xubuntu which is running on the XFCE desktop, you won’t be disappointed. Hello, when changing the system theme, after creating the .themes folder and extracting the new theme folder, it doesn’t appear in the appearence settings. I read somewhere that you have to drag the theme folder over the appearence windows. It worked this way. 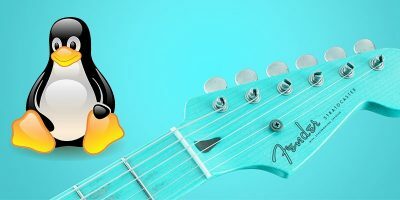 I am using manjaro linux. Is this the correct way or there is another way?. 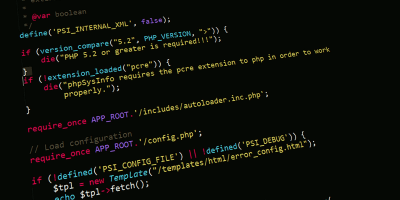 You have to make sure that it is a GTK theme and it is a full theme. If it is only an icon theme, you will have to look under the Icon tab. Dragging the theme to the appearance window should work too, but once again, you have to make sure that it is the correct theme.